Our family has chosen to participate in #LightTheWorld- here’s how we are feeding the hungry. When my little family was talking about the #LightTheWorld initiative, and deciding how we can participate, we found some amazing ideas and inspiration from Mormon.org. We decided that for most of the days in December, we were going to do small and simple things to help those around us. But one day in December was going to be a big day, full of service. Our calendar showed that Saturday, December 16th was the day. We talked about doing several different things, but we kept going back to day 21: Feed the Hungry. So we decided we were going to swap the days around a little bit, and feed the hungry on our big day of service. 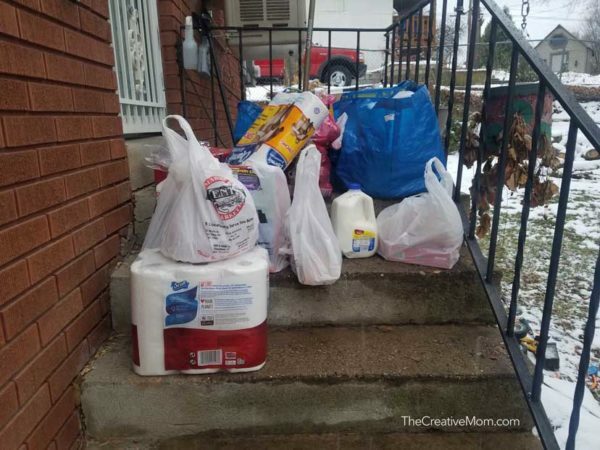 My kids wanted to find a family we could help by dropping groceries off on their porch. And let me tell you, it was amazing!!! We picked out a few gifts for the kids and a Target gift card for the mom (of course!). We wrapped them up and then went grocery shopping. It was so fun to see how the kids picked out such practical things, but also added a few fun items to the cart. 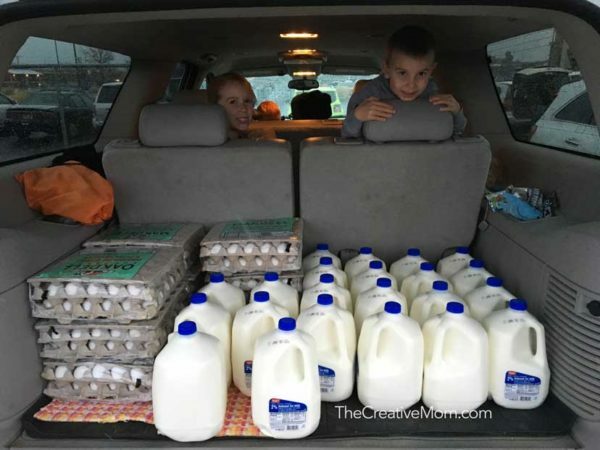 We had such a good time picking out groceries for this family. Then we delivered the groceries and gifts to their home. We snuck the packages and bags onto their porch as quietly as we could, then rang the doorbell and ran. We were able to park a little ways away and watch the door open and close several times as the cute mom carried load after load of groceries into their home. It was such a touching sight, and I hope I never forget the feeling that was in our car. My kids mentioned several times how happy it made them and how they could feel the spirit and knew that this was a good thing to do with our time and money. This is not a family we know, and we probably won’t ever meet them. I’m sure they will never know who left the food on their porch. But I know that God knows them and loves them. And that’s enough for me. After we dropped off the gifts and groceries, we couldn’t decide how we’d spend the rest of our evening. It was a toss-up between Chinese takeout, a movie at the theater, or a trip to the ice cream shop. But, as we were driving, we passed a homeless shelter. It was snowing and there were several people outside waiting to go in. 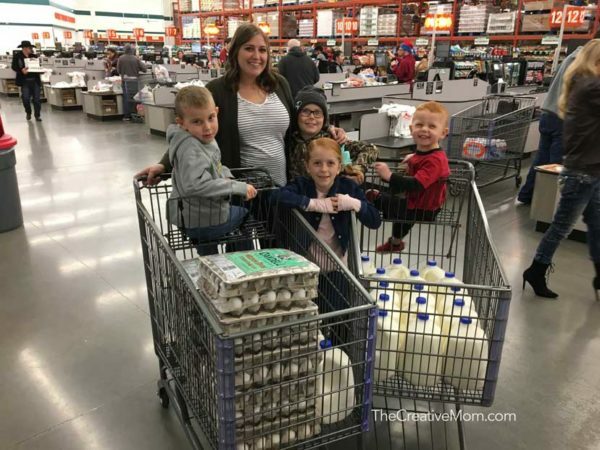 On their marquee sign, it said, “We need milk and eggs”. Once the kids realized what that place was, they decided to skip our night out and run to the grocery store (again) instead. We used the money we would have spent on dinner, a movie, and ice cream to buy milk and eggs. A lot of them. Then we delivered them to the homeless shelter. Several times throughout this experience and other times we have served for #LightTheWorld, my kids have commented how good they felt, or how happy they were. I know that we were happy because we were doing the right thing. Even I was amazed at the joy I felt while we were serving. I know that the happiness we felt came from God. If Jesus were here, He would spend his days serving and loving those around Him. I know that He is happy when we do as He would do. Our family isn’t rich by any stretch of the imagination, but we definitely are blessed. I wish we could have helped 50 families, but we couldn’t. Sometimes it’s hard to feel like the little bit we are contributing is enough to make a difference. But I know that it is. And even if you don’t think anyone else notices, I know that God, our Father in Heaven, notices our simple gestures of kindness. He knows you and cares about you, and it makes him happy when you help his other children who need it. I invite you to participate in #LightTheWorld. You don’t have to do extravagant things or spend a lot of money. All you have to do is look for those around you who are in need, then serve and love them. 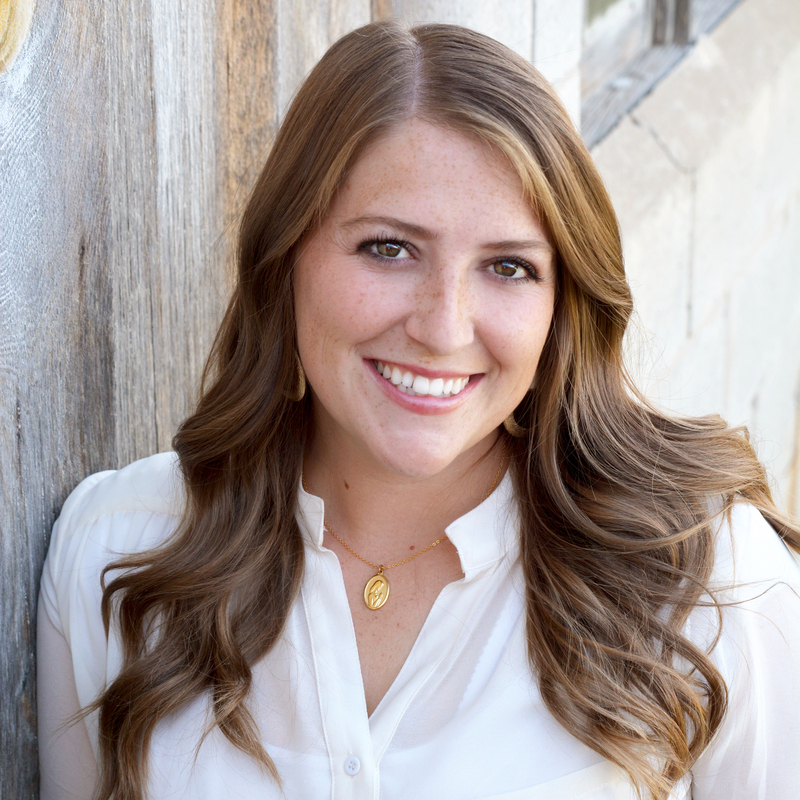 You can find more ways to serve on Mormon.org. You can also see other things our family has done for #LightTheWorld.